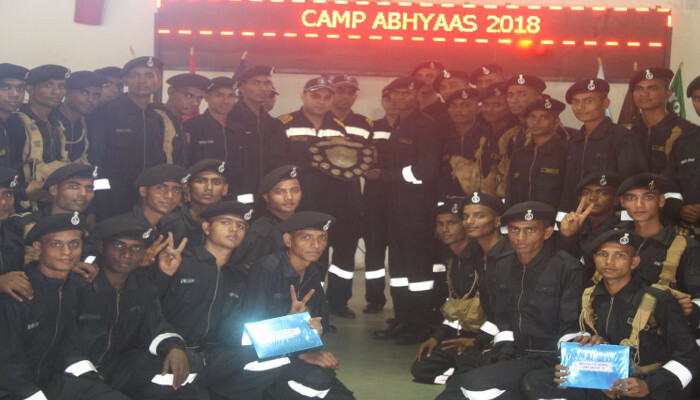 Camp ‘Abhyaas’ was conducted at INS Shivaji for trainee sailors of Direct Entry Engineering Mechanic (DEME) Course, from 30 October to 01 November 2018. 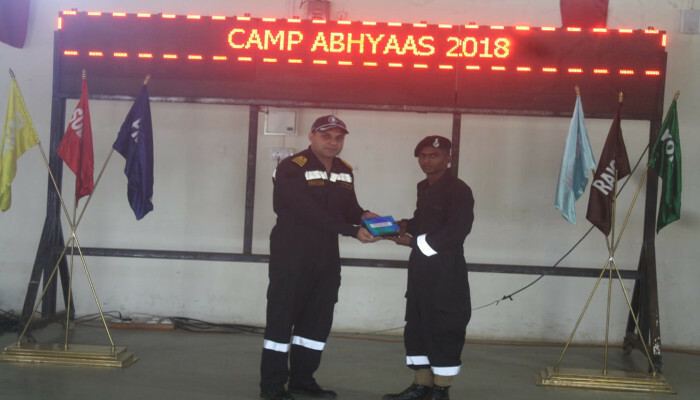 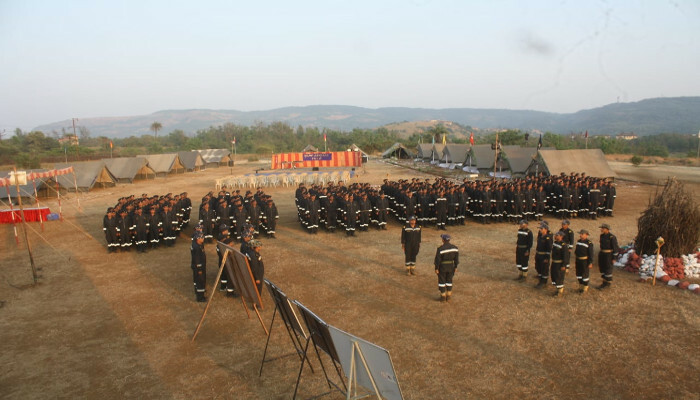 343 naval personnel participated in the camp, which included 313 trainees from DEME Course, 15 Assistant Divisional Officers from Marine Engineering Specialisation Course, 12 Assistant Divisional Chiefs from CHERA ‘Q’ course and two sailors from the Training Team. 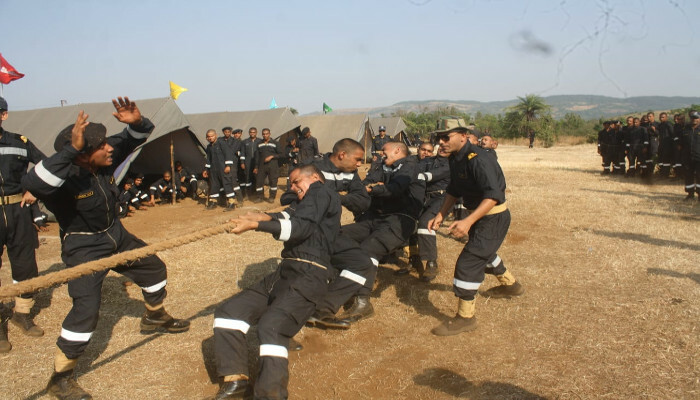 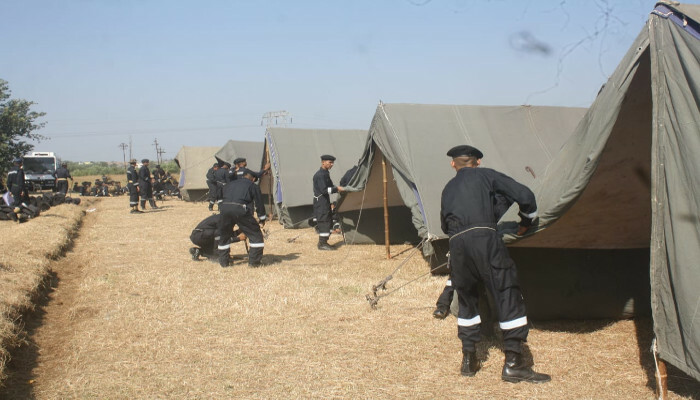 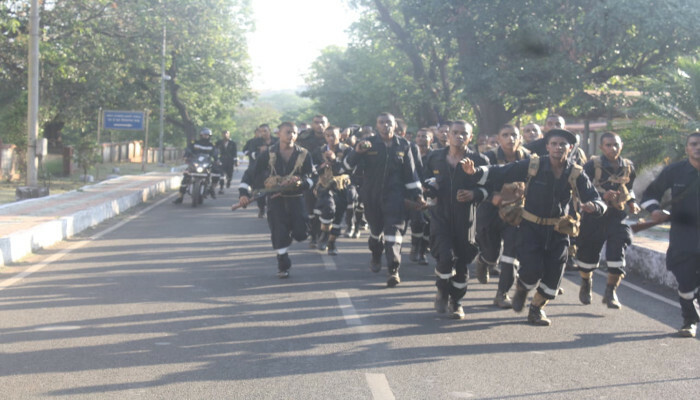 The aim of the camp was to develop stamina, fortitude, determination and endurance and to inculcate a sense of discipline, spirit of adventure and also esprit-de-corps among the trainees. 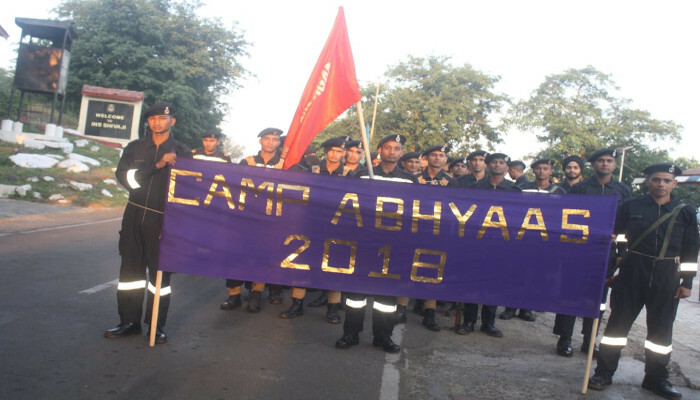 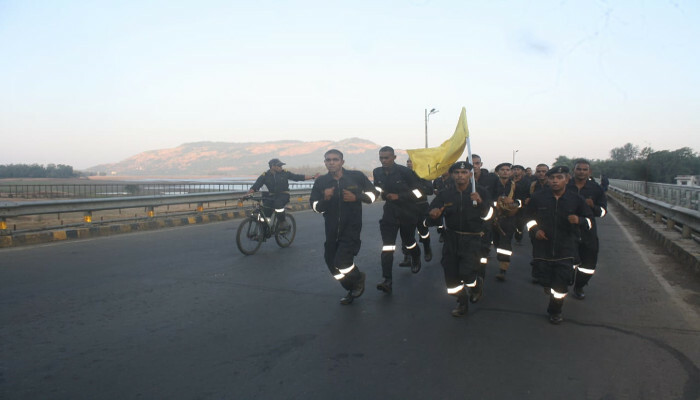 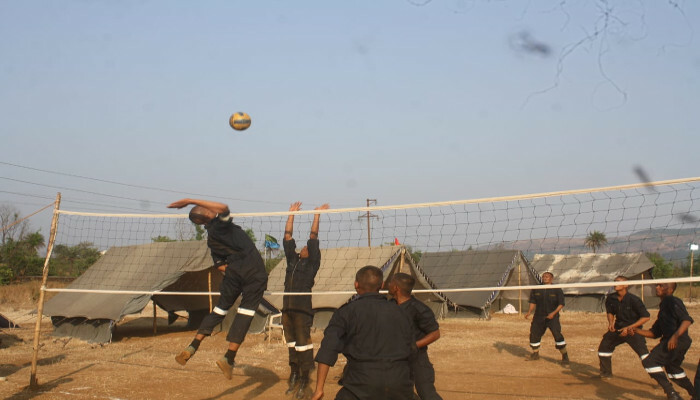 The major activities conducted during the camp include, approach route march from INS Shivaji to the Camp Site, night navigation exercise, mini josh run, josh run, tent pitching and troop games. 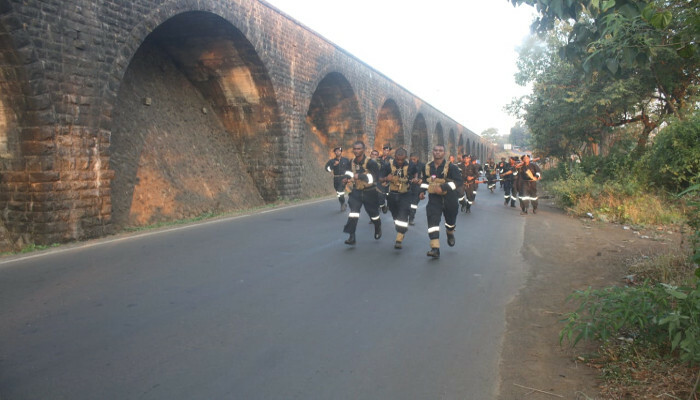 Korigad Division emerged as Camp Champion, while Sudhagad Division was adjudged Runners-up. 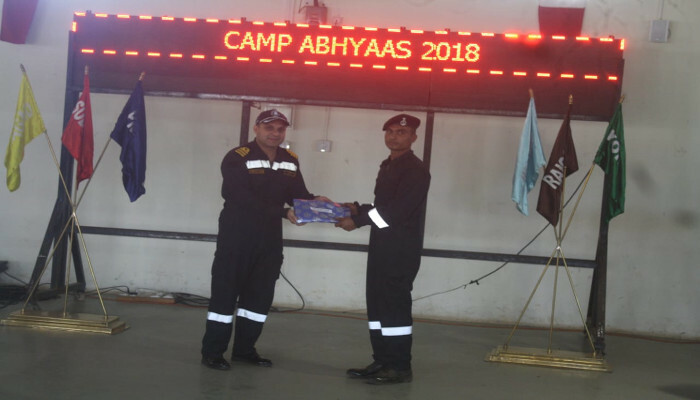 Rahul Kumar and Abhishek Sharma, both from DEME course, were adjudged the ‘Best Camp Trainee’ and the ‘Most Spirited Trainee’ respectively.